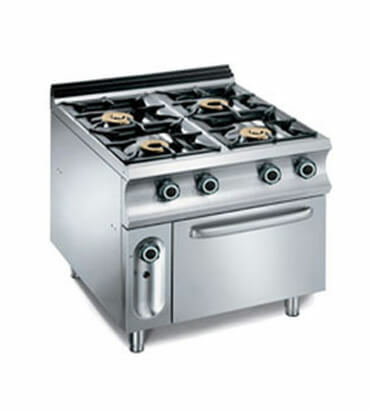 Four Burner with Oven in India, Four Burner with Oven Manufacturer/Supplier in India. We are engaged in manufacturing and exporting a wide range of Four Burner Range with Ovens in India. These ovens are offered with compactly designed four open burners that operate on electricity, gas or hot case. Manufactured with high grade stainless steel, these ovens have Bakelite knobs and burner tops of brass. Our products are acknowledged for the pan support made of MS sheet with powder coating, efficiency, durability, error free functionality and quality manufacture.